Home / Automotive / Cars / Shelby's 565kw Ford F150 Bakkie Now Available In Sa! What South Africans call a bakkie is known to the rest of the world as a truck, and this, fellow performance junkies, is definitely a truck. And South African fans will be pleased to know that the F150 will soon be available here, in limited (and very pricey) numbers. The 2019 Shelby F150 is based on the world's top-selling single model, the Ford F150, and starts life as a range-topping F150 Lariat Luxury derivative. Then Shelby drops in a 565kW supercharged five-litre V8 with a high-capacity aluminium heat exchanger, an upgraded throttle body machined from a solid block of aluminium, upgraded high-performance fuel injectors. 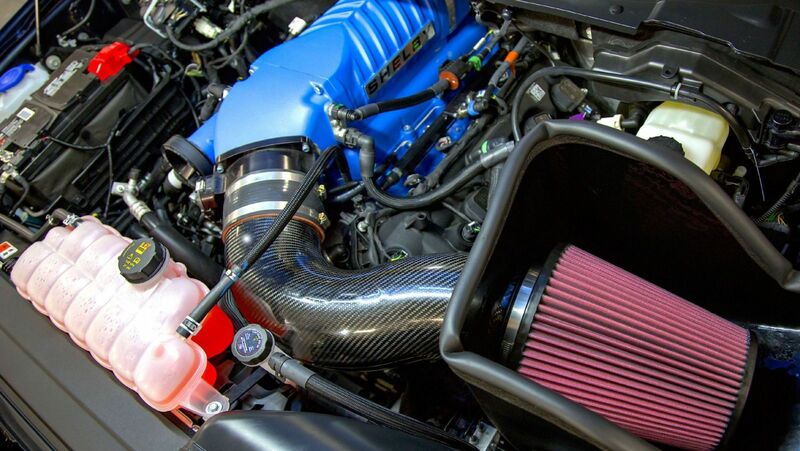 It breathes in through an oversized carbon-fibre air intake tube with a high-flow filter, under a dual-intake Shelby Ram Air Super Snake bonnet, and out through a Shelby-tuned Borla Performance exhaust system, while front wing vents assist with engine cooling. The base version has Shelby BDS suspension with rear performance traction bars, while the Baja option comes with a Shelby-modified Fox suspension system that includes Raptor-style 63mm aluminium reservoir dampers all round with internal bypass valving and adjustable dual-speed controls that let you tune your truck 'on the fly' from comfort to long-travel off-road or track-day firm. Either way, the Shelby F150 rolls on 20-inch engraved Shelby alloy rims with BF Goodrich KO 235/12.5 R20 all-terrain tyres. Shelby's F150 is dressed up in a honeycomb racing grille with a Snake insert over a special body-colour front bumper, it also includes body-colour rear bumper cladding, wheel-arch flares, full-length rally stripes, special graphics on the rocker panels, bonnet, tailgate, load bed, a body-colour solid tonneau cover, special bed liner, black powder-coated side steps and a numbered Shelby Registry engine plaque to establish your bragging rights beyond question. 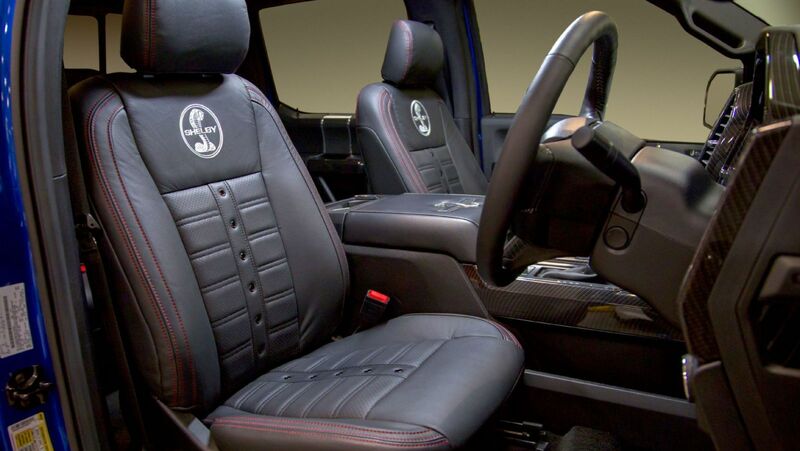 The cab is pimped out in two-tone leather and carbon-fibre trim elements, with the Shelby snake embroidered on the head restraints and centre console and deep tinted windows, the obligatory customised floor mats and a numbered Shelby plaque on the dashboard. That's because only 500 Shelby F150s will be built for the world market, all in left-hand drive and entered in the Shelby American registry. Just a few will be made available to order through Shelby South Africa for the local market, converted to right-hand drive at Shelby SA's Superformance works in Port Elizabeth. 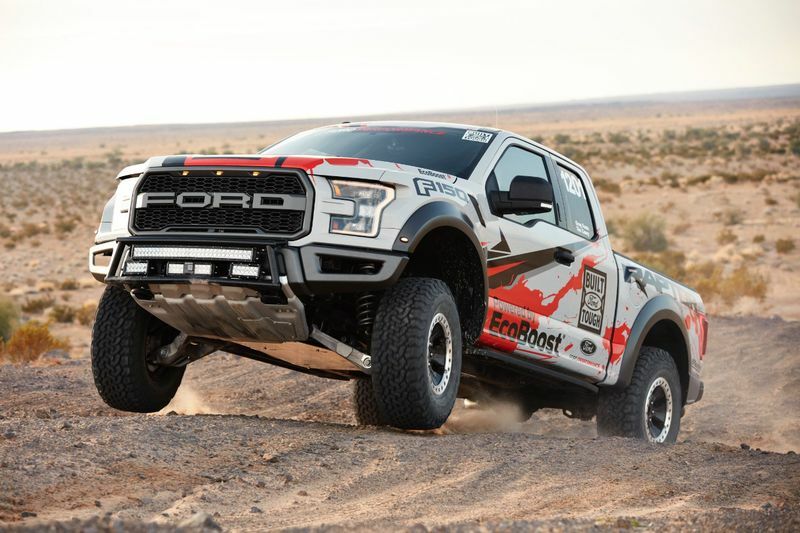 Exact pricing will depend on specification, but Shelby South Africa expects it to range from about R2.5 million for the base version to R3 million for the Baja Raptor flagship with full Shelby conversion and Fox suspension, including a three-year or 50 000km Shelby warranty. Er... A Civic Type-r Bakkie? Yes, Really!